To Arab Health and Beyond! Another trip to the Gulf has flown by, meaning Managing Consultant for the region Annie Nicholson and I are now back shivering at our desks in Edinburgh! 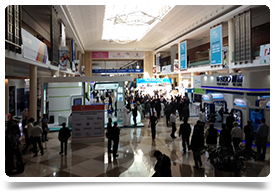 The reason for the trip was to exhibit as part of the Scottish Pavilion at the world’s second largest medical congress, Arab Health, in Dubai. The scale of the event is extraordinary, covering nearly 70,000 sq m, with exhibitors from all over the world. 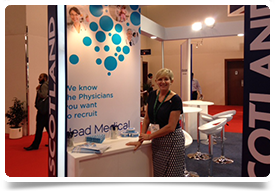 Head Medical were the only international recruitment agency exhibiting and I believe it helped demonstrate our commitment to the region. We managed a quick trip to visit clients in Abu Dhabi and then Al Ain the day before the exhibition started, then it was 4 days of exhibiting, interspersed with a number of meetings with both new and existing clients, from the government and private sectors. 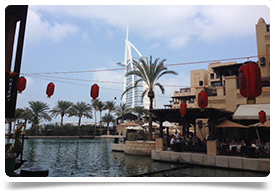 An all too short weekend in Dubai followed before we were off to Kuwait and Qatar, meeting with clients to discuss some very ambitious projects. The trip confirmed what we are already well aware of, the healthcare sector is booming in the Middle East, with unprecedented growth and investment. Head Medical is highly committed to developing further strong relationships with clients in the Gulf, which is why we are such regular visitors. Relationships in the Arab culture are forged through repeated meetings and strong ties, so I’m already starting to plan our next trip out - the freezing cold and snow forecast here in Edinburgh is just an added incentive!